If you are going to be baking with marijuana, you need to know how to make cannabutter. As we mentioned before in our Cinco de Mayo article, in order to activate the THC in marijuana to be able to get high from eating it you need alcohol or fat. Once you follow our steps below, you can use your butter just as you would in any recipe. You could melt it over pasta, put it in any baked good, put it on toast, or make a nice sauce for a steak. So, let’s get stared. You are going to need a pot, a strainer, a stove, water, butter, and marijuana. We made sure to keep the instructions easy because more likely than not you’re stoned and can’t follow detailed instructions nor will you have the patience to read through them all. 1. Take the pot and place it on the stove. Pour enough water into the pot so that it is an inch deep, more is unnecessary, less is alright, you just need some water. 2. Bring the water to a boil. Then melt the butter by placing it in the water. ***Important*** Use one stick of butter for every quarter ounce of marijuana that you intend to use. 3. Once the butter is fully melted, put your marijuana in the pot. Make sure it is ground up or broken up like you we’re going to use it in a joint or a blunt. You don’t want it to be too small because you want to filter out the plant matter once it is all said and done. 4. Turn down the heat slightly, you want the mixture to simmer but not fully boil. You should let the mixture sit like this for 3 hours at a minimum, but longer is better. Then turn off the heat and take the mixture off the stove. 5. Pour the mixture through a strainer and into another container. The butter will solidify on the top, you can place the container in the freezer to speed up this process. Once the butter has solidified, pour out the water, and you’re done. 6. Lastly, use the butter and get high. If you have any questions or comments, post them below. Also, if you have any good recipes they would be greatly appreciated. 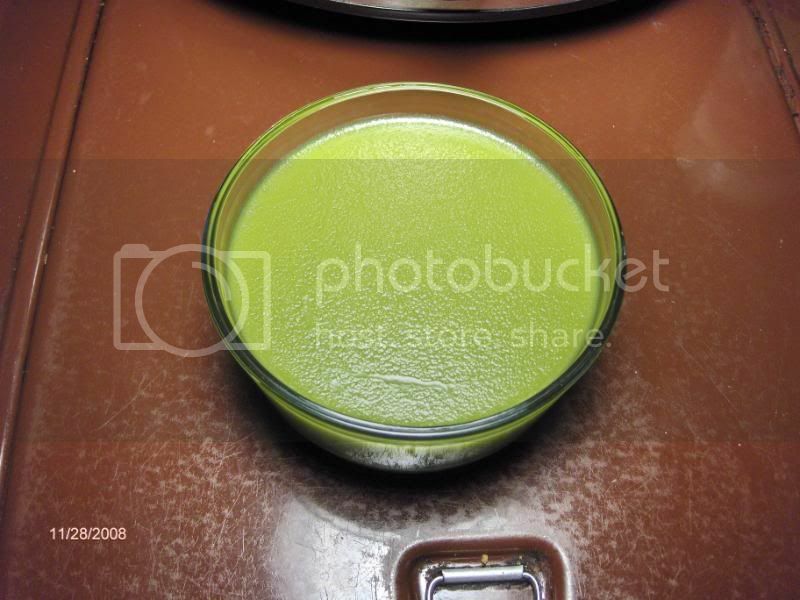 Try to make your own cannabutter and let us know how it goes. 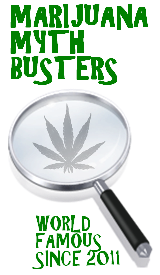 This entry was posted by Mythbuster on May 23, 2011 at 4:29 pm, and is filed under Reefer Recipes. Follow any responses to this post through RSS 2.0.You can leave a response or trackback from your own site. How much butter is meant by “a stick”? 1/4 lb? I’ve heard that it is unnecessary to use water, can you tell me if this is true? It is completely unnecessary. However, using water helps reduce the risk of burning off the THC by getting thins too hot. When using kief should you still let it simmer with butter on the stove for 3 hrs? And what is the perfect amount of kief touse with 1 stick of butter? Thanks in advance! Around 1 to 1.5 grams should be good for one stick of butter. But, you can always make it stronger. The longer you let it cook the better, but make sure the THC doesn’t burn off, so keep the temperature low. Would I still run the butter through a shift if using kief as compared to buds or trimmings? How much kief would I need to use when making the butter? This all depends upon how strong you want to make it. Generally, the range is between an 1/8 and a 1/4 of green per stick of butter. With kief you would probably be good with between 1 1/2 and 3 grams per stick, which will make you some dank butter. What about making butter with kief? You can make butter with anything that contains THC. Kief is very high in THC and therefore you wouldn’t need as much kief as you would herb, and you wouldn’t need as much herb as you would need stems and trimmings. Hope that helps. You can easily use trimmings instead of bud to make cannabutter. Keep in mind that the THC content is likely to be much lower than that of bud. With that said I would use approximately a half ounce of trimmings for every stick of butter, maybe even more; and also let the mixture sit on the stove for significantly longer. Marijuana Mythbusters » What to do with all your kief!! !